lead senior bakery consultant / turnkey projects. It has a heavy cast iron having aluminium spiral inside. 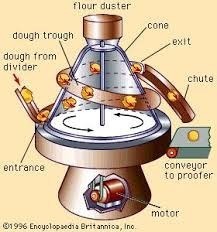 Conical Dough Rounder Machine Production Capacity 1500 to 2000 pcs / hr with 2 hp electric moto. We are engaged in offering high quality Conical Rounder. These are highly sought after, owing to their superior technology and quality. The construction of the machine enables high flexibility regarding type of products, weight range and capacity. 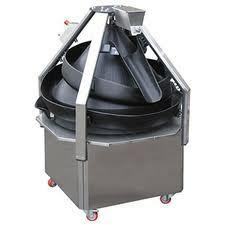 The machine is equipped with centrally adjustable tracks with non-stick coating.